It’s not often that I get the chance to contribute TWICE to the blog in one week, but I couldn’t resist the opportunity to chime in on the conversation about diversifying Women’s History Month. I’ve been humming to myself over here in the office as I’ve been digging into children’s and young adult literature focused on women’s history – and Hispanic women’s contributions to history, in particular. While there are beautiful books by and about women peppered throughout the blog and in our previous Reading RoundUp posts, for this month I had the pleasure of finding and compiling books based on real life heroines. These are books that highlight the groundbreaking, earth-shattering contributions and hard work of Hispanic/Latina/Chicana and indigenous women in the United States, Cuba, Ecuador, Puerto Rico, Mexico, Guatemala, Paraguay, and Chile. Sometimes their work was an act of personal triumph; at other times, it revolutionized society. Their achievements break barriers in music, labor rights, school segregation, literature, and art. Across the spectrum, their stories are absolutely worthwhile. As a caveat, I should add that I haven’t personally read all of the books on this list — like The Distance Between Us by Reyna Grande, When I Was Puerto Rican by Esmeralda Santiago, and Ada’s Violin by Susan Hood — but they’re stellar publications if others’ reviews are anything to go by. If you should add them to your bookshelf, please let us know what you think. They’re certainly on our TBR list now. Side note: The descriptions provided below are all reprinted from the publishers’ information. Without further ado, here are 15 children’s and YA books that we hope will expand your classroom and home discussions about Women’s History Month! p.s. Remember that Teaching for Change is offering a discount in their TFC non-profit, indie bookstore in honor of Women’s History Month. Just use the code Women2017 at checkout! 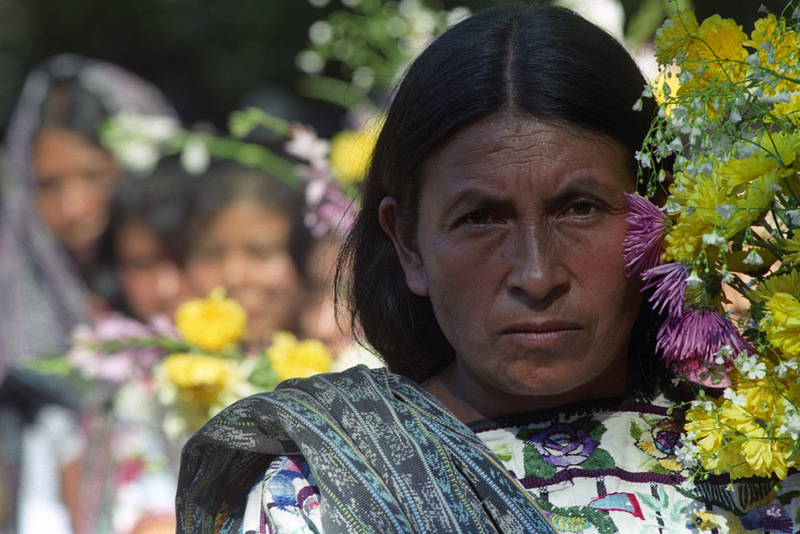 Mayan Hands is an organization that promotes the social, economic and historical importance of weaving among Mayan communities in the highlands of Guatemala. Mostly, it is the women in these communities who take up the art of weaving at a very young age; in fact, weaving is synonymous with a birth-rite for many Mayan girls and is considered an essential part of community life. 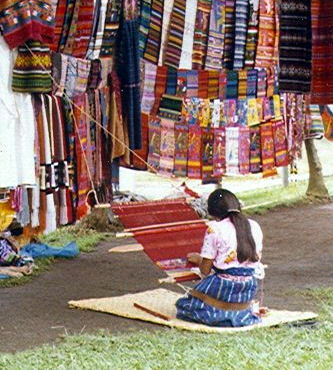 Mayan weaving is known for a refined and unique style called back-strap weaving. Having the students watch the Mayan Hands’ back-strap weaving videos is an amazing opportunity to use media on the web to bring a far-away cultural reality into the classroom. After watching the videos, students should try and answer the following questions, as well as any others they might formulate or be inspired to ask. How does weaving act as a tool for organization among women? In what ways do the videos portray the Mayan art of weaving (ancient or modern; technical or basic)? How does Mayan back-strap weaving relate to tourism and to ourselves as consumers here in the north? As the students begin formulating ideas about Mayan women and the art of weaving, here is some important background information. This week we bring you a resource to complement our earlier discussions about Skila Brown’s Caminar, the young adult novel-in-verse set during Guatemala’s civil war in a fictional village. Although Brown evocatively conveys what the young protagonist, Carlos, must have felt amid the tumult and violence, it nonetheless is somewhat difficult to imagine his surroundings in detail. So, we found photography that will give you glimpses into the context of the novel. Without further ado we present the photography of Jorge Uzon. There is a lot to work through when delving into the Western University (Ontario, Canada) student-created blog, Guatemala beyond the Civil War: Through the Lens of Jorge Uzon. Designed as a virtual, online photographic exhibit, each of five sections contains one of photojournalist Jorge Uzon’s startlingly poignant photographs, complete with a contextual description accompanying each photo. Take your students on a tour of each section, and with each picture the concise, yet thorough commentary helps to provide a simple, yet highly informative framework; the photos come to life in the eyes the students’ as the context is explained, even briefly. We had such a wonderful time with our book group on Monday night! Everyone really loved this book. If you didn’t get the chance to join us, we’d love to hear your thoughts on the book. If you haven’t had the chance to read it yet, it definitely comes highly recommended from Vamos a Leer. 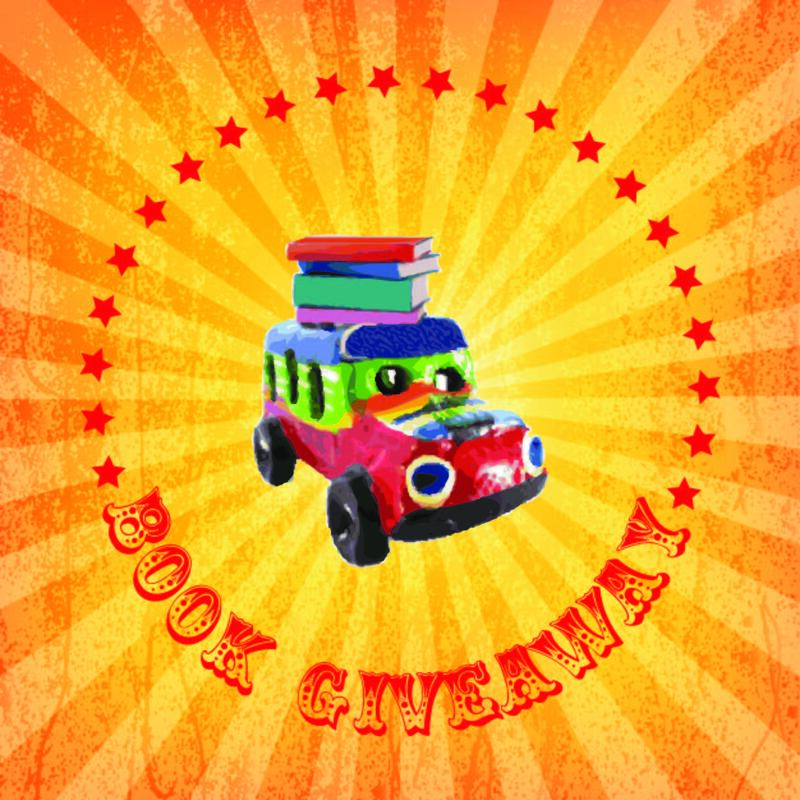 We hope you’ll add it to your TBR list! Like Journey of Dreams by Marge Pellegrino, Caminar offers a fictionalized account of the violent Guatemalan Civil War that lasted over thirty years. 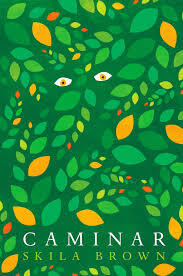 Both books tell their story through the eyes of a young protagonist, but Brown’s Caminar is a novel in verse. The style of this genre makes Caminar a perfect introduction to a subject that’s often not covered in young adult fiction or non-fiction. 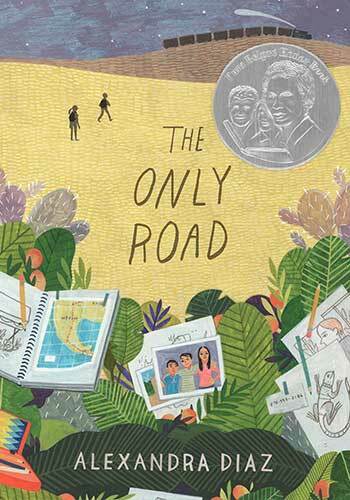 While the topic itself is certainly complex, the novel in verse format lends itself to struggling readers and ELLs. Each page is its own poem, so there aren’t long chapters to wade through or difficult dialogues that can be frustrating for readers to try and follow. With shorter text, teachers can spend more time focusing on meaning, symbolism and imagery in each poem. Because it is poetry, it would make for a great read aloud, teacher or student led, providing great oral language practice. I think novels in verse are a great opportunity for focused poetry study as well. As a novel, they’re longer than the typical poems we teach in the k-12 classroom. While many students can be intimidated by poetry, the novel in verse gives them time to settle in both to reading poetry and exploring the particular author’s style. Brown’s work offers so many examples of the creative things a writer can do with poetry just through arrangement, spacing and shape of the poems that it really lends itself to a poetry unit.